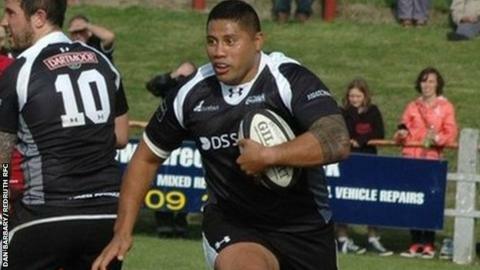 Redruth head coach Steve Larkins says Pale Nonu has impressed him. The centre, 36, joined the club in the summer after leaving his role as player/coach at rivals Launceston and made his debut in the 37-16 win over Redingensians on Saturday. "It's good to have somebody like him and the quality of him coming into the squad," he told BBC Radio Cornwall. "He did his usual that he's done for 20 years. He's good on his feet for a big guy and just invites people onto him." Larkins has seen a number of new faces join over the summer and says so far they have impressed him. "It's good to have somebody like Pale and the quality of him coming into the squad, along with Tom Cowan-Dickie and youngsters such as Luke Hatton," he said. "Overall the signings we've made this year have come good."